Laptop Ensemble exploring improvisation, intermediality, electronic sound manipulation, generative software and aspects of liveness and collaboration. A show that steals its style from the gig, the opera and the recital, The Good, the God and the Guillotine is a music-driven piece of theatre like no other. A long walk, the beach. A fight, a murder. The heat, and the barking of dogs. We’re travelling out of the sun and towards darkness. 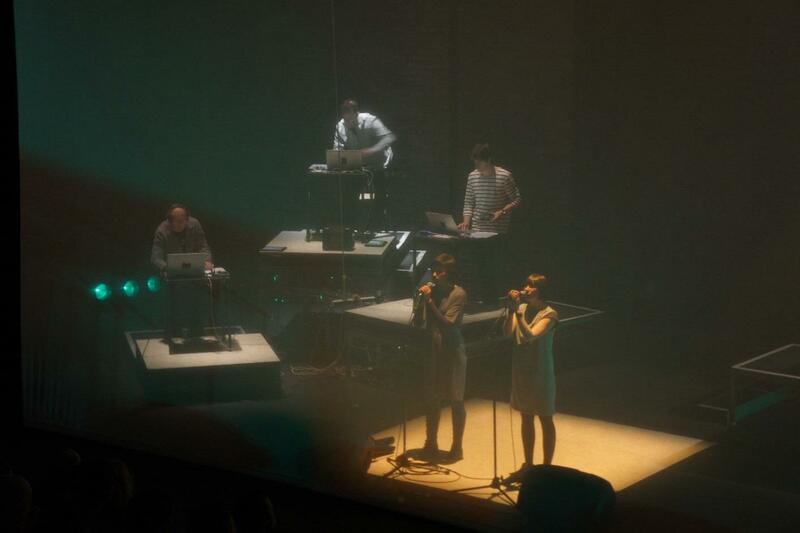 Three performers and three laptop musicians create an atmospheric, cross-genre journey through a tangle of relationships and technologies, all set against reactive objects, lights and hand-drawn animations. Proto-type Theater, collaborating with the musician/composers of MMUle (Martin Blain, Nick Donovan, Paul J. Rogers), lighting designer Rebecca M. K. Makus and animator Adam York Gregory, present a performance sung and spoken across thirteen distinct chapters. 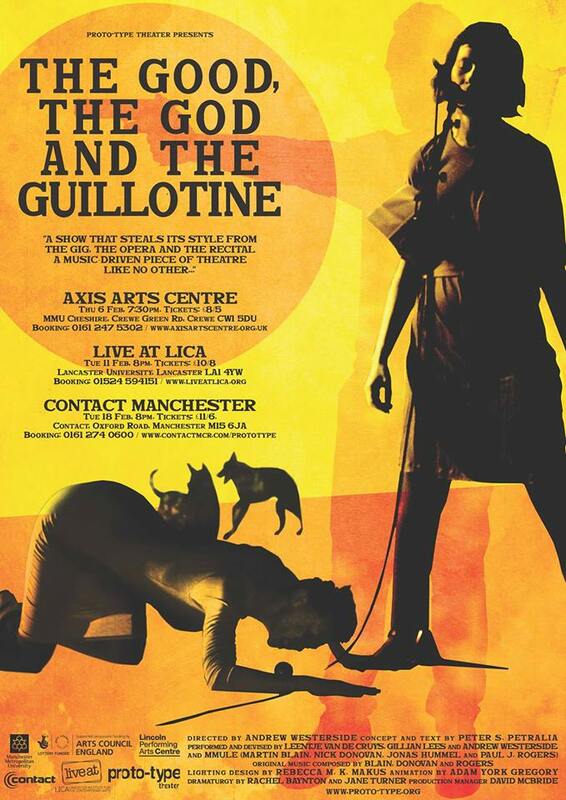 The Good, the God and the Guillotine is a personal answer to the universal question, and was inspired by a reading of Albert Camus’ powerful 1942 novel The Stranger.